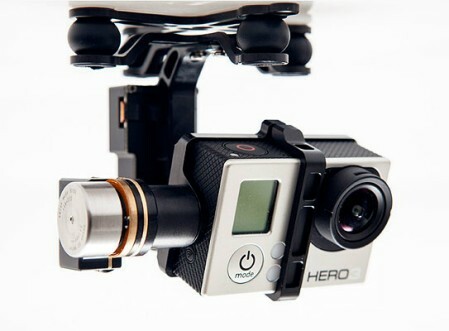 -The DJI Zenmuse H3-2D Gimbal is another milestone in gimbal innovation, which is designed for the GoPro Hero3. 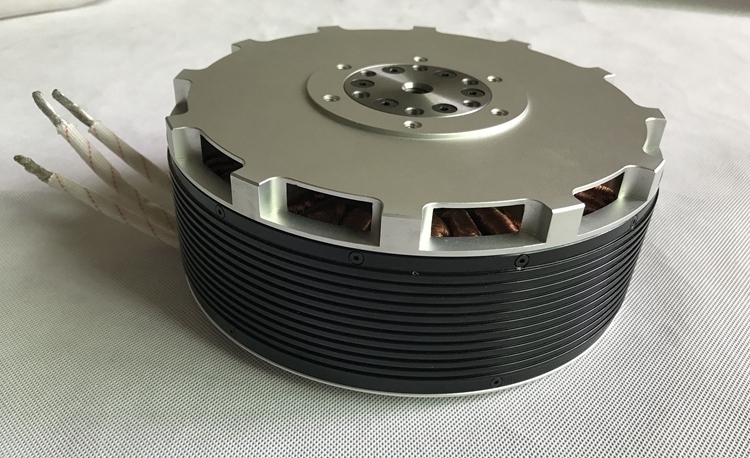 With its high precision, high stability, lightweight, plug and play features, it is widely used in film and television productions, advertising aerial photography, etc. Even if the aircraft is in high-speed flight, it can still stabilize and control the GoPro camera precisely with the highest stability. The precision of control angle is within the range of Â±0.08Â°, so picture or video output can reach the best quality. No additional manual adjustment required, no need to adjust the C.G. or parameters in the software. In addition, the installation process is extremely simple and the plug-and-play characteristics make it easy for users to experience the performance of the H3-2D. The H3-2D gimbal is designed for the GoPro Hero3, and remote start/stop shooting, video transmission (video downlink required), etc of the GoPro Hero3 will be supported by future firmware upgrades. 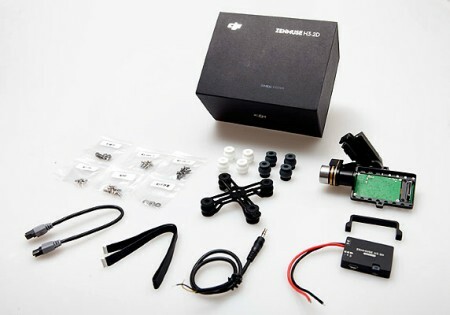 The H3-2D gimbal inherited the core algorithm from the Zenmuse Z15 gimbal and the unmanned aircraft flying attitude stability control algorithm. Combined with the high precision sensors and brushless motors, the DJI Zenmuse H3-2D gimbal provides pixel level stabilized footage. The independent high-precision IMU module provides precise attitude data and the closed-loop control gives improved control accuracy.Without the requirement of complex installation and connection of many wires, it is also easy to assemble and remains stable when in flight. 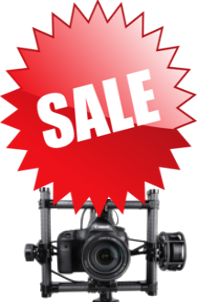 The aluminum alloy material and innovative mechanical design makes the gimbal extremely light weight (total 230g, GoPro Hero3 included). 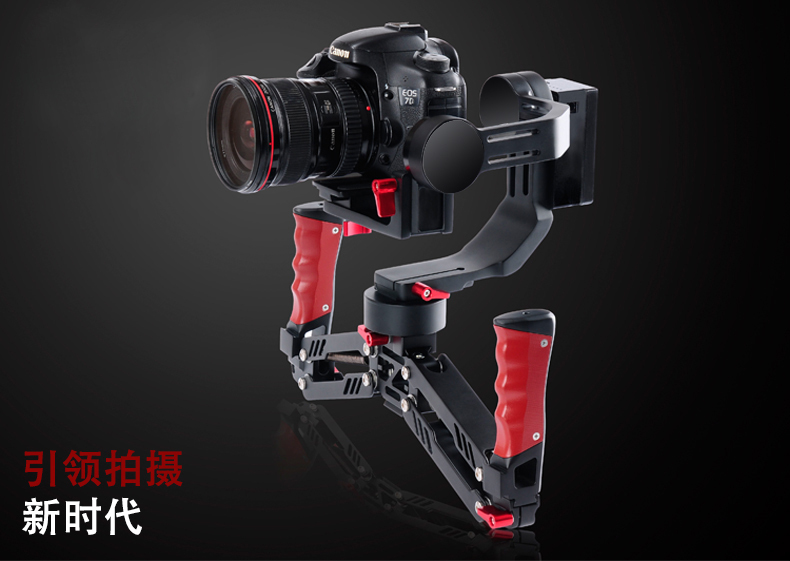 The structural design of the aluminum frame guarantees the strength of the gimbal. The mechanical design, weight and power supply will match the Phantom and Flame Wheel perfectly. The Phantom transmitter can be easily upgraded to give the pitch(tilt) control function of the gimbal, with a customized slider. No additional receiver channels are needed, it just uses the additional MC channels.